This blazer classic model Julio de Bruce Field is cut with care, in a fabric 100% wool Reda high quality for an elegant in all circumstances. Whether you choose to wear it on a chino, jeans or classic pants, the jacket Julio de Bruce Field will fit perfectly with your style. Its buttons silver will bring a touch of originality to your outfit. 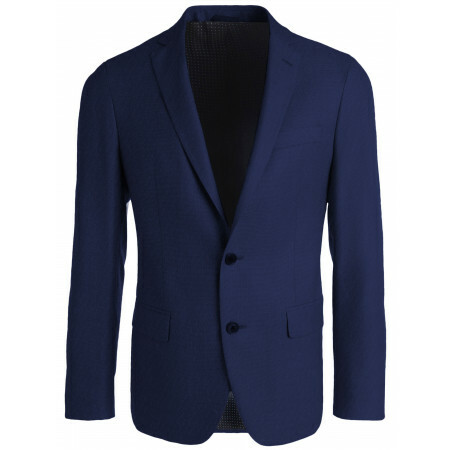 This blazer navy model Dario Bruce Field is carefully cut into a fabric of 100% wool high quality for an elegant in all circumstances. Whether you choose to wear it on a chino, jeans or classic pants, the blazer Dario Bruce Field will fit perfectly with your style. Its golden buttons bring a touch of originality to your outfit. Check out the collection of blazers for men Bruce Field. Thanks to the blazers Bruce Field, be comfortable and stylish in all circumstances. The blazers Bruce Field are cut with great care in fabrics 100% wool high-quality, specially selected by our care. Blazers for men Bruce Field will match all your outfits and will also look good on a shirt with or without tie on a sweater, and similarly with all types of pants, classic chino through the jeans. Whether you want to view a classic style or a modern look, you will find among the collection of Bruce Field the blazer that will complete your outfit.